What can dental implants do for you? Every day we see patients who were “hopeless” cases. Your mouth can loose bone density. Teeth and gums can be damaged by gum disease. 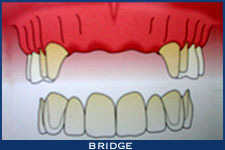 Having trouble with bridges and crowns? We provide strong and attractive dental implants. Dental implants can replace failing crowns and bridges. Our dental implant procedures can replace teeth damaged by gum disease and bone loss. 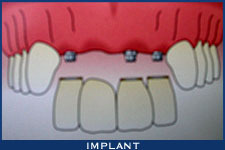 Your Seattle dental implant specialists will skillfully place in dental implants. Dental implants help you to chew in comfort. We can replace missing teeth for a better appearance. Do you have missing teeth? Dental implants will replace missing teeth and let you keep your wonderful smile. You don’t have to agonize over missing or damaged teeth. Dental implants are available for upper or lower teeth. Contact us today.